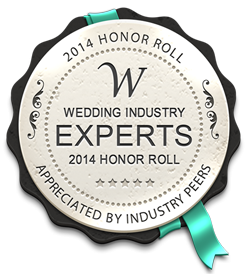 So apparently, I’ve been selected to be on the Wedding Industry Experts Honour Roll for 2014. To be honest, I didn’t really think it was a big deal, but apparently people are talking about it – so there you have it. The WeddingIndustryExperts.com team asked Wedding Professionals from across the globe – “Who inspired you in your local wedding community in 2013?” After reviewing thousands of responses, doing some background research and adding those who have inspired the WIE team, they have put together their first annual Honour Roll, and I made the list! Being on the Honor Roll is not an endorsement of a businesses service or products. It is simply a way to say thank you – you did some awesome work (the previous year), that inspired others and we want to recognize you. You can see the full list of Honour Roll members here. Are you getting married? Looking for an Newmarket wedding photographer? Get in touch to have me, Jennifer Newberry Photography, capture your wedding, whether it’s in Aurora, Newmarket, Toronto, Barrie, Waterloo, Hamilton, London, Muskoka, or beyond! I’d love to chat about your wedding plans! Jennifer Newberry Photography offers Newmarket wedding photography coverage in the GTA, including but not limited to, Newmarket ON, Toronto ON, Waterloo ON, London ON, Hamilton ON, Muskoka ON, and the surrounding areas.